I was going to do a tag video on this for YouTube, but I never got around to it. I saw on the blog Canoteir that she just made a blog post about it so I thought "What the hay! ", here it goes! Inexpensive would have to be my wet n' wild lipsticks. I paid about $.50 for them. I have gotten many products for free in the past but I don't count them! Most expensive would have to be my Smashbox Photo Op Palette that my boyfriend bought me, coming in at around 93$. I have a love hate relationship with bareMinerals in general. It only recently developed because I got a sample of there matte foundation and it turned me orange even though I bought the lightest color. And I love them because of the products I have that are beyond amazing: Mascara, Eyeshadow, Lipgloss. Hardest to get would be my OPI Rainbow Connection. This is such an odd question. But I would have to say MAC Lipsticks. They smell SO good, I have an obsession with their smell. YUM. I neglect so many products due to pure laziness, but I would have to say most neglected would be my heat protectant and my other hair products I should use. I think the product that gives me the most confidence would be my bronzer and highlighter, I have such a round babyface that the only thing that gives my face a shape is contouring the heck out of it. 7. ENVY: What items would you most like to receive as a gift? 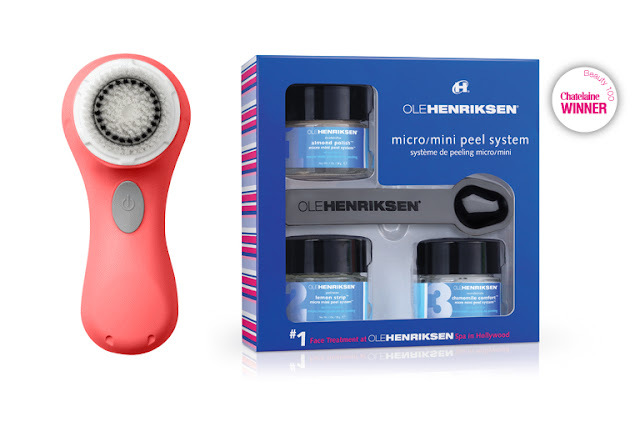 I would love the Clarasonic Mia, or Ole Henriksen Micro Mini Peel Kit. They are my lusts right now. Is anyone else having an issue commenting on blogs because of visual verification not working? The mini peel is amazing, I got a sample of all three steps from sephora while back, and it was amazing! :) it's around $80ish dollars... Pretty steep but amazing!